Compare laundry liquids ALDI Almat, ALDI Trimat, Cold Power, Dynamo, Earth Choice, Fab, Omo, Radiant and Surf on factors including quality of clean, feel of clothes after wash, value for money, packaging design, scent, environmental friendliness and overall satisfaction. 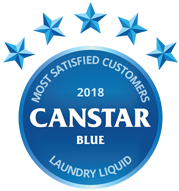 Earth Choice is the new champion of Canstar Blue’s customer ratings for laundry liquids in 2018. It rated five stars for quality of clean, feel of clothes after wash, packaging design, environmental friendliness and overall customer satisfaction. Finding a laundry detergent can often be as big of a chore as actually washing your clothes, with plenty of products claiming to bring your old favourites back to life, as well as removing those tricky and tough stains. While that’s what you want in a detergent, finding the one that’s best for your washing, whether it’s the day-to-day wash or you’re washing something specific, can be a tough choice. Add in to the mix that consumers have a choice between liquid and powder detergents, and the decision seems almost impossible. But thankfully, with the help of some of Canstar Blue’s articles, as well as our latest survey results, the trip down the washing detergent aisle might be a bit easier from now on. If you’re not sure what’s on offer in terms of fragrances, detergents for sensitive skin or those that will turn those white shirts from home attire to dinner attire, read on to find out which brand may be the best fit for your household. 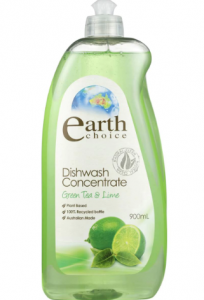 Producing a range of household cleaners, whether it’s for the dishwasher, washing machine or even the toilet, Earth Choice has been readily available for decades, with the parent company Nature’s Organics starting back in the 1950s. Based on plant-based ingredients, biodegradable surfactants and sustainable packaging, Earth Choice was the only brand to score five stars for environmental friendliness. Able to be used in both front and top loader machines, Earth Choice is available in a variety of options, including Pure Clean, Ultra Concentrate, Wool and Delicates and Bio Plus, with a Fabric Softener also available to help bring those old clothes back to life. Available in store in 1L or 2L bottles, Earth Choice laundry liquids are grey water and septic safe, and come in a recyclable bottle. 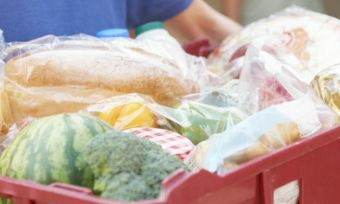 Earth Choice scored five stars across a range of categories, with value for money and scent the only categories where it scored four stars. A fan favourite of many households, Surf has a number of laundry liquids available for consumers to choose from, with a number of different scents to suit your personal preferences. 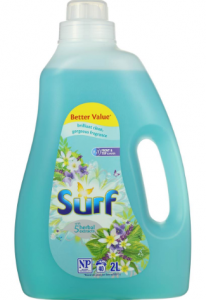 Available in 1L, 2L and 4L bottles, Surf is a reasonably priced option in the laundry liquid market, costing between $4 and $5 per litre bottle, depending on which type you get at the checkout. Surf’s liquid range is also suitable for both front and top loader models, meaning that regardless of what washing machine you have in your house, Surf’s products will be able to fit in. Surf scored five stars for quality of clean, feel of clothes after wash and scent, while also scoring four stars for overall satisfaction. 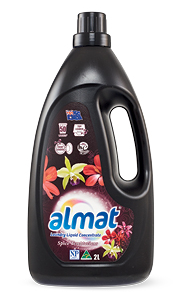 Performing similarly to last year, ALDI Almat appears to be a popular option for Australian shoppers, with the Almat laundry detergent available in 2L bottles, which will set you back around $5. Containing triple enzyme action for greater stain removal, Almat is phosphate-free for increased environmental sustainability. Almat is available with a variety of fragrances and can be used for both front and top loader washing machines. Almat was rated five stars for quality of clean, value for money and feel of clothes after wash, as well as a four-star rating for environmental friendliness and overall satisfaction. Suitable for both hot and cold washes, Cold Power’s liquid detergent is suitable for both front and top loader washing machines, with the brand also offering a number of fabric softeners and cleaners to help whatever you’ve stained your clothes with. 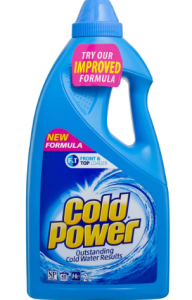 Owned by Germany company Henkel, Cold Power is regularly available in Australian supermarkets and stores, with multiple liquids to suit your wash preferences, including Complete Action and Sensitive Pure Clean, which are available in a variety of fragrances. Cold Power was rated three stars for overall satisfaction this year, but got four stars for quality of clean, scent and environmental friendliness. Omo has multiple washing liquids for households to use, including Liquid, Sensitive, Eco-Friendly as well as Ultimate, which comes with a stain eraser ball for those really tough stains. 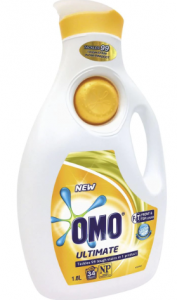 While one of the more expensive options when it comes to laundry detergents, Omo was rated five stars for quality of clean, meaning that it might be worth the extra price. Omo was also rated four stars for scent, packaging design and feel of clothes after wash, while scoring three stars for overall satisfaction. Launching in Australia in 1979, Dynamo has a rich history with Australian families, with the brand today offering a number of liquid variants, including Dynamo Regular, Dynamo Eucalyptus, Dynamo with Sard Boost and Dynamo Professional, able to tackle whatever stains your throw in the washing machine. If you’re after something specific, Dynamo also offers ‘Professional 5in1’, as well as ‘Professional Odour Eliminating liquid’, handy for those smelly sports socks, or for colours that are beginning to dull. 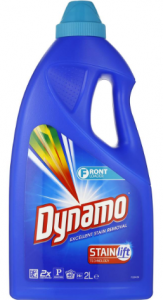 Suitable for both front and top loader machines, Dynamo is available in 1L, 2L and 4L bottles, although Dynamo is more expensive than other brands of laundry liquids, so you may have to look elsewhere if you’re on a budget. 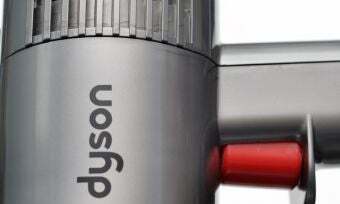 While it scored three stars for overall satisfaction, Dynamo was rated four stars for quality of clean, feel of clothes after wash and packaging design. Similar to its powder range, Fab has a number of liquids suitable for both front and top loaders, coming in a variety of fragrances, including Frangipani, Sunshine Fresh, as well as the Temptations range, giving shoppers plenty of choice when it comes to those swayed by scent. 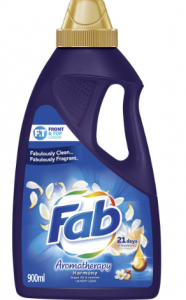 Available in 1L, 2L and 4L bottles, Fab will cost you between $4 and $5 per litre, making it affordable for most households. While scoring three stars for overall satisfaction, Fab was only one of two brands to score top marks for scent. One of the brands that likely comes to mind when you think of laundry detergent, Radiant has plenty of laundry options, including for blacks, sports and everything in between, meaning no matter how busy or messy your household gets, Radiant will be there to help out on wash day. 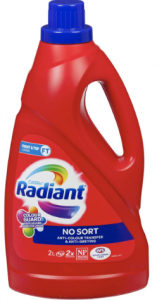 Available on 750ml, 1L and 2L bottles, Radiant is competitively priced amongst most products, although the Black Wash will cost you around $10 per 1L bottle, which may make some think twice before putting it in the shopping trolley. 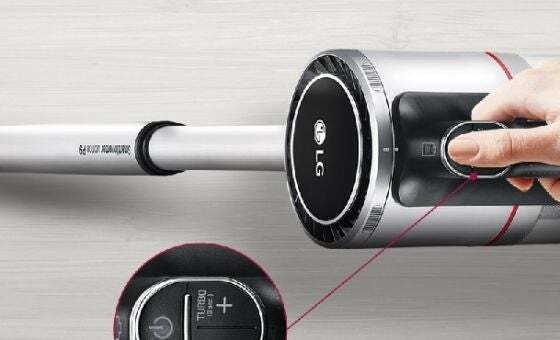 Scoring three stars for overall satisfaction, Radiant was rated four stars for quality of clean and packaging design. Trimat, the more expensive ALDI detergent, comes in two varieties for the household wash, including Regular and Sensitive. 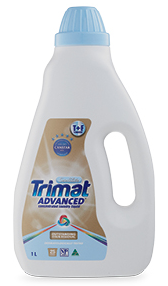 Available in 1L bottles, Trimat will set you back almost $4, but is suitable for both front and top loader washing machines. Containing a concentrated formula, including pre-treaters and active surfactants, Trimat also contains no phosphates for greater environmental sustainability. Trimat took a tumble down the ratings after winning last year, rating three stars in the majority of categories, except for a four star rating for value for money. Which laundry liquid should I buy? With 30% of respondents to Canstar Blue’s latest survey reporting that washing is done every day in their household, laundry detergents are an important purchase to ensure that everyone remains clean and fresh. 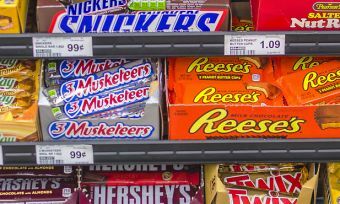 While 56% stated they always bought the same brand, 42% were more influenced by price, making their decision based on which brand was the cheapest or on special at the supermarket. Regardless of which camp you fall in, it’s always handy to know what’s available in the market, as after a bit of research, you might find a better option for your washing. With the amount of washing we do on a weekly basis, taking a closer look at which detergent we use might not only save you money in the long run, but save your clothes as well. Canstar Blue surveyed 3,000 Australian adults across a range of categories to measure and track customer satisfaction, via ISO 26362 accredited research panels managed by Qualtrics. The outcomes reported are the results from customers within the survey group who have purchased and used laundry liquid in the last 3 months – in this case, 1,060 people.